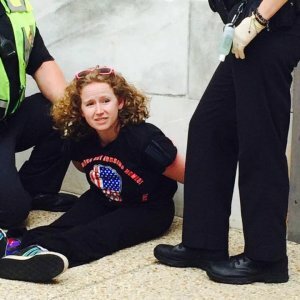 We asked Stephanie Woodward about her feelings in the aftermath of her arrest on Capitol Hill protesting #HealthcareReform with National ADAPT, a Disability Rights organization. 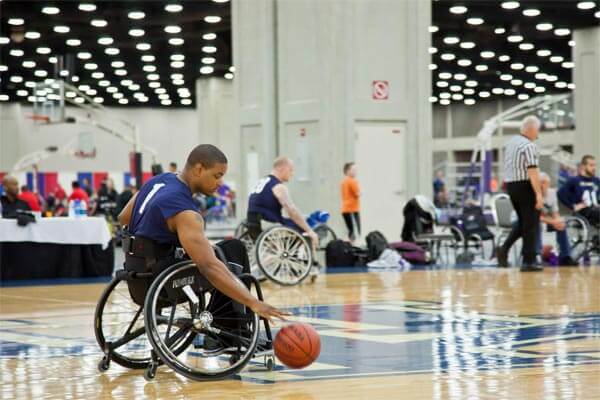 The questions first address the responses seen in much of social media from many in the able-bodied population that focused on their feelings of pity for the protestors with disabilities. It had more to do with the fact they WERE disabled than the actual fight they were fighting. 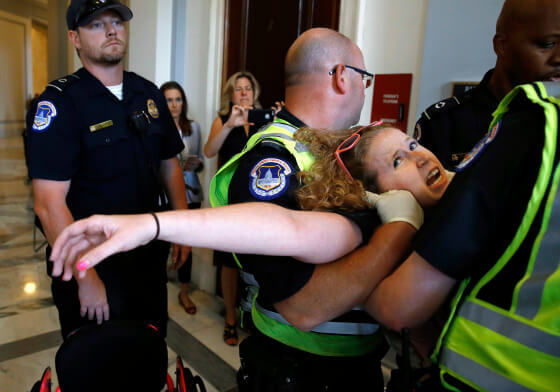 Many felt it “appalling” that people in wheelchairs would be treated as any other protestor who was asked to leave a Senate office but refused. It bothered us at PUSHLiving.com, and we wrote a post about it that received a lot of support from our readers. Stephanie, did you know you were going to be arrested? 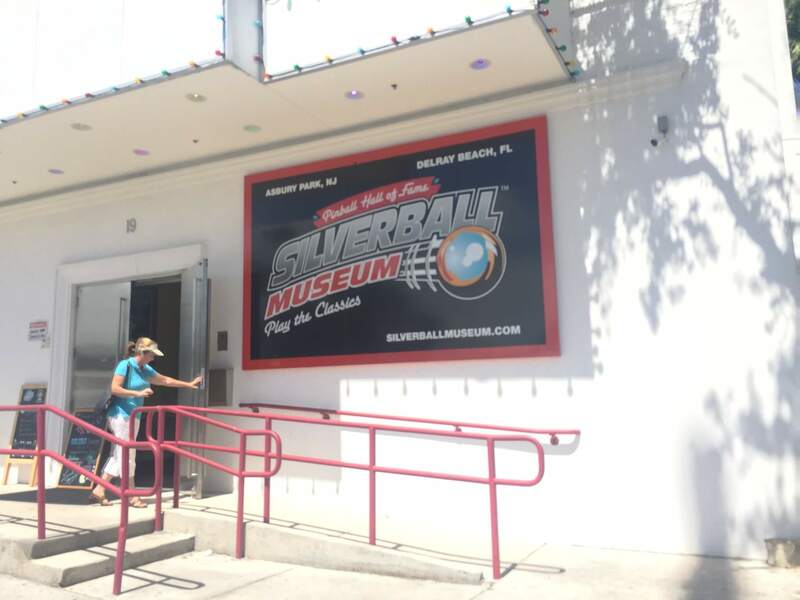 Yes, we knew it was a possibility. Did you expect and prepare for it? We expected it and prepared for it as we always do when we do direct actions. What do you say to those who view it as “how terrible they arrested and carried out those poor, disabled people”? We are all so proud of you and want to set the record straight as to your understanding of the risks. 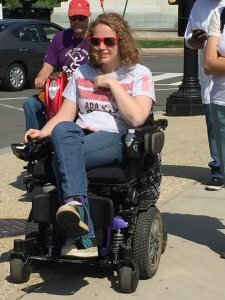 I would say it’s terrible that it has come down to people having to protest to fight for their lives and the lives of millions of other disabled Americans whose lives and liberty are at risk with the $800 billion gash to Medicaid. I put my body on the line because lives are on the line. Don’t feel bad for me or any of us, join us in the fight to save our lives and liberty. How are you feeling emotionally and physically? What can we do to help? I am sore and tired, but I am continuing to organize. The fight is not over. May I ask how you felt about who was responsible for making the call to order arrest? Do you feel it was justified and fair? I.e. You were treated like anyone else would be regardless of disability? 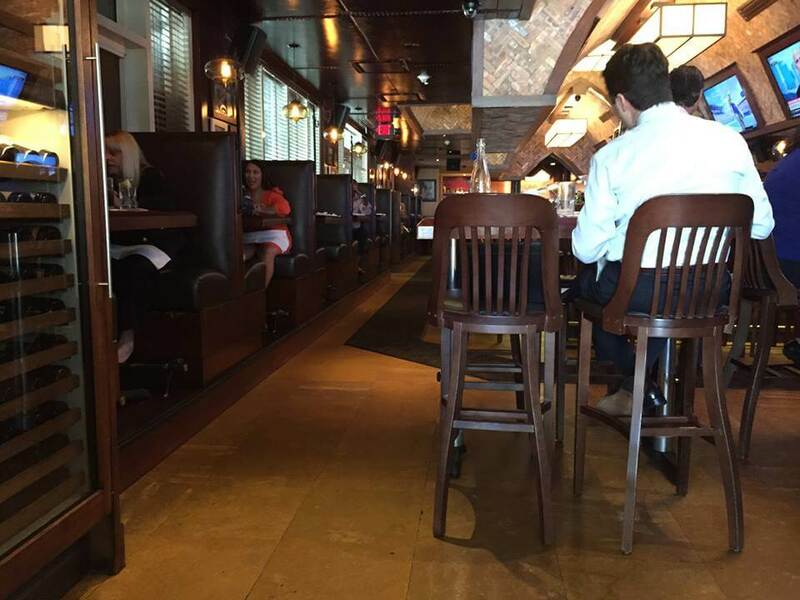 Well, our nondisabled folks were carried out too, and some were wheeled out in wheelchairs that weren’t theirs. Capitol police can make the call in the hallways because that’s their domain. Generally, Capitol police don’t arrest in offices unless the legislator asks them to so, it’s pretty clear McConnell didn’t care to talk to us because he ordered those of us in his office to be arrested. 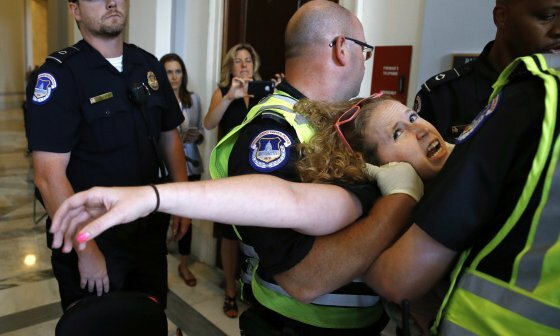 Capitol police were acting on the order of McConnell when they carried me out. I don’t blame them. They had a job to do, and so did I. It just so happens that our jobs conflicted. That is an important point to make. There seems to be so much police bashing, and you are right to say that. This is about a bill that will kill our people. McConnell did that. McConnell made the call to have me removed from his office for protesting a bill that will harm millions of my fellow Americans. We need to focus on that. I feel that she should learn to read. Thanks for the laugh. Though it is not funny that depending on what media channel you watch you are told what is true. There are millions, including the disabled, that think you are just “overreacting” and that this bill is needed to “cut the fat” and those real people who need it won’t lose benefits. That states will pick up the slack. Your response? The states are already institutionalizing people. 2. 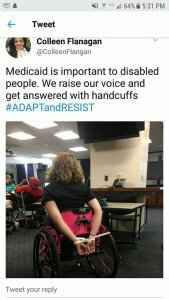 Consider giving to the #ADAPT GoFundMe campaign to cover activists’ expenses: https://www.gofundme.com/u2jc4-adapt ADAPT is a national grass-roots community that organizes disability rights activists to engage in nonviolent direct action, including civil disobedience, to assure the civil and human rights of people with disabilities to live in freedom. 3. Learn about the five reasons you should try to stop the Better Care Reconciliation Act. 4. 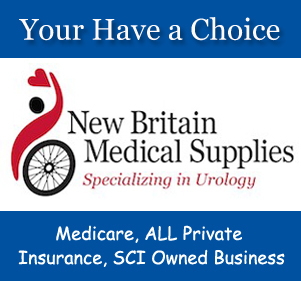 Call, email, and post to social media, calling on your U.S. Senators to oppose the BCRA. The top Senate targets are Murkowski (AK), Flake (AZ), Gardner (CO), Cassidy (LA), Collins (ME), Heller (NV), Portman (OH), Capito (WV). 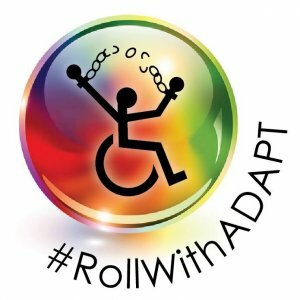 Hey Buddy!, I found this information for you: "Stephanie Woodward Interview: Dragged from Her Wheelchair and Arrested at ADAPT Protest". Here is the website link: https://pushliving.com/young-woman-carried-out-of-capital-hill-from-her-wheelchair-the-image-seen-around-the-world/. Thank you.